Charlie Gilkey and I met via Twitter when he needed help fixing an issue with his website. We became fast friends, and he asked me to redesign his website. 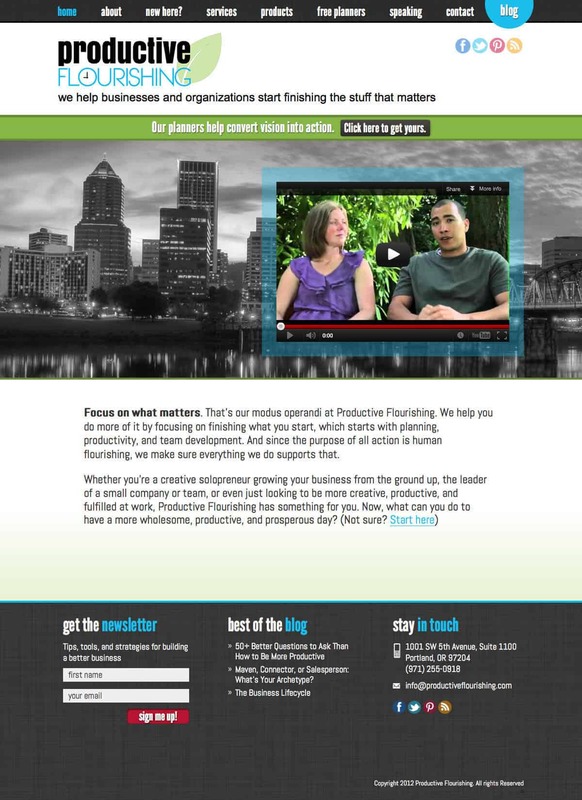 A few years later we tackled a second redesign, modernizing the site and refreshing the branding. 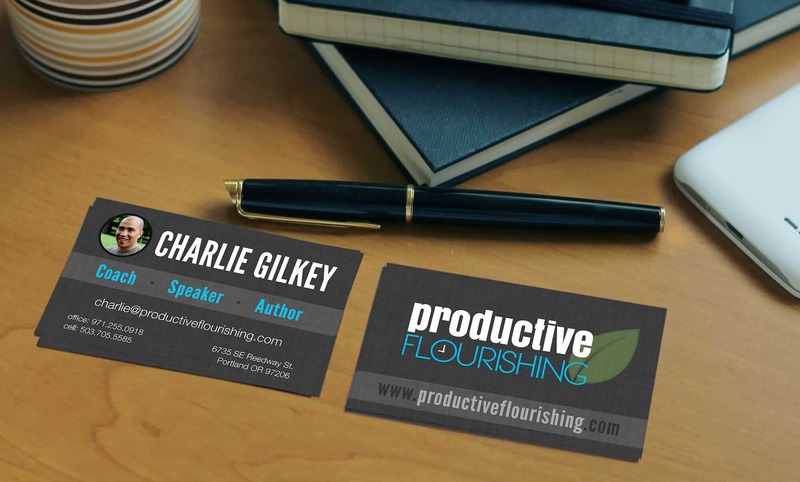 I designed a new logo for Productive Flourishing, complete with a new website developed on WordPress, new business cards, and various promotional graphics and sales pages. Charlie likes to change up his website every few years so this design has been retired, but it is still one that I like to keep in my portfolio.